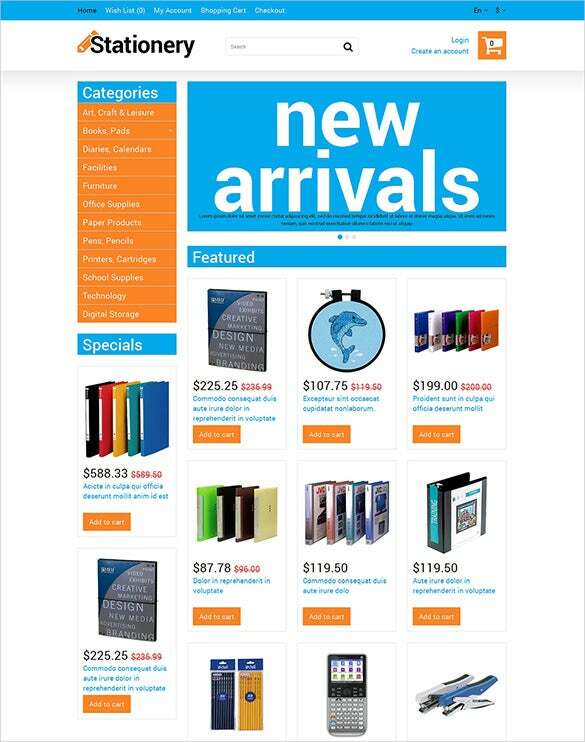 These Stationary OpenCart Templates are professionally designed keeping in mind the needs of our clients. They take care of all stationery items, CDs, DVDs, books, etc. 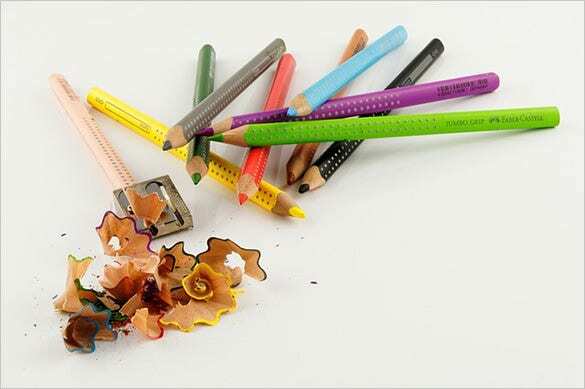 They come in bright colours and are user-friendly as well as SEO enabled. They are also provided with free lifetime support along with free upgrades and are also encryption free.You can also see Best Opencart BookStores & BookShops Templates. 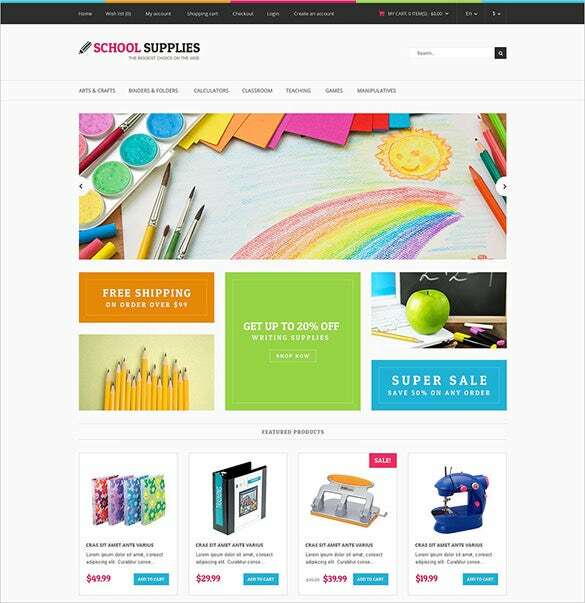 Stationery OpenCart Template is a Colorful Stationary OpenCart Theme with niche design that’s ideal for stationary sales web stores. It comes with features like Tooltips, Promo Banner Surrounded Slider, and Sketchy Call To Action Buttons. 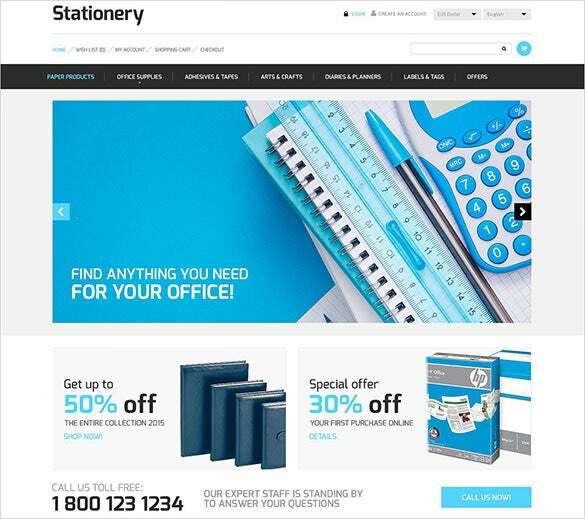 Stationery Store OpenCart Template is a beautiful stationary OpenCart theme with Parallax Effect, Supplementary Navigation Links, and Four Columns to Display Featured Products. Additional features include Online Chat, Bootstrap, and Social Options. 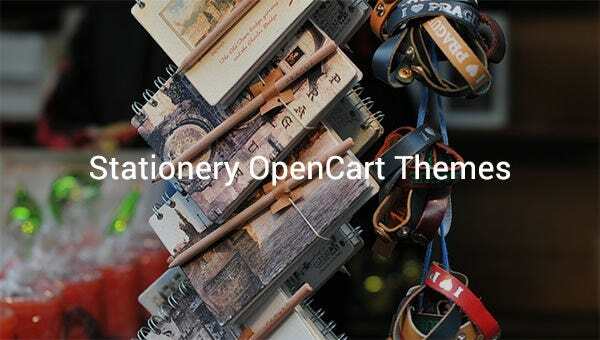 This Stationary Responsive OpenCart Theme provides a niche outlook to stationary supplies based web portals. It comes bundled with 7-10 stock photos for lifetime usage. It comes with an Advanced Admin Panel. 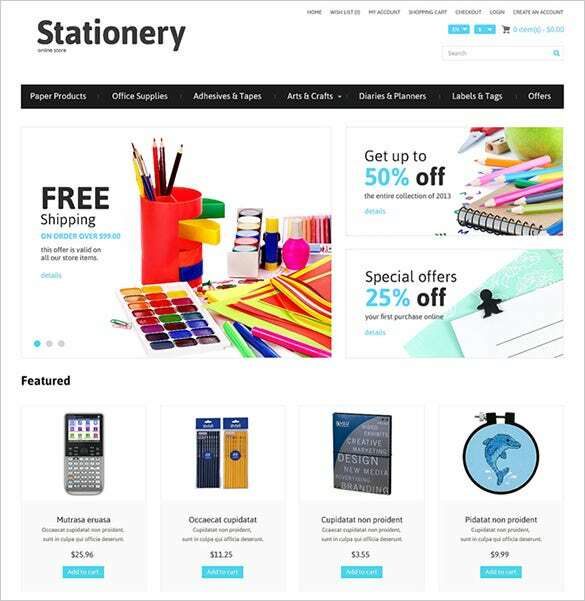 ThingsforCuties is a Pretty Stationery OpenCart Theme with niche set of features and functionality. It is 100% Responsive and SEO Optimized. 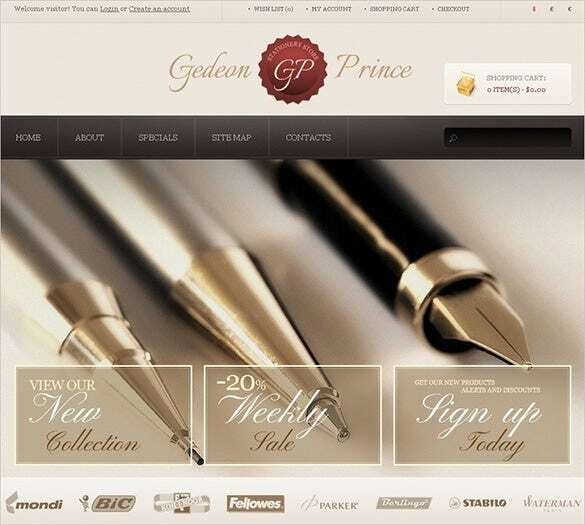 It also comes with Newsletter Templates, Sliced PSD, Multi-Language Customized Footer, and Powerful Admin Panel. 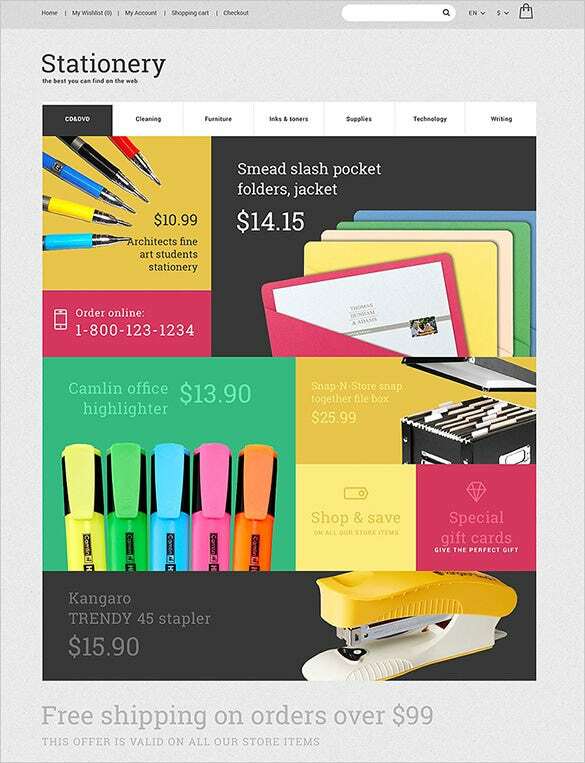 This Simple Stationery OpenCart Theme comes with a bright coloured layout and niche design pattern. 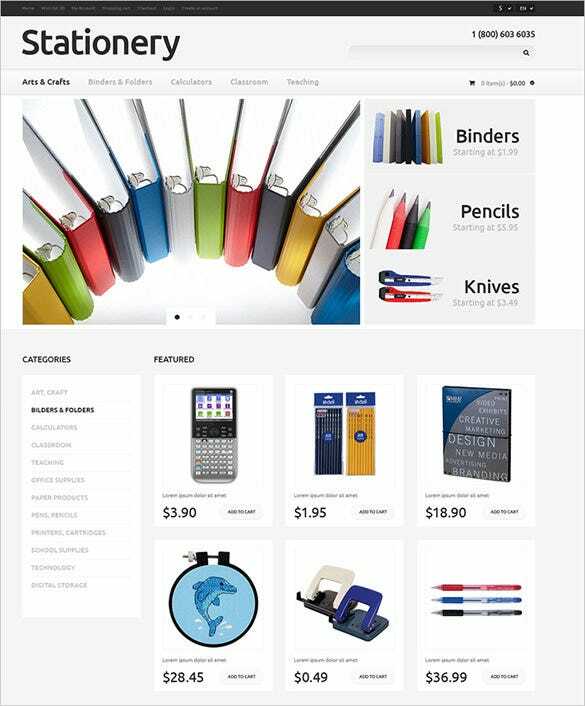 Some of the features include Sliced PSD, Bootstrap, Drop Down Cart, Custom page Templates, and Google Web Fonts. 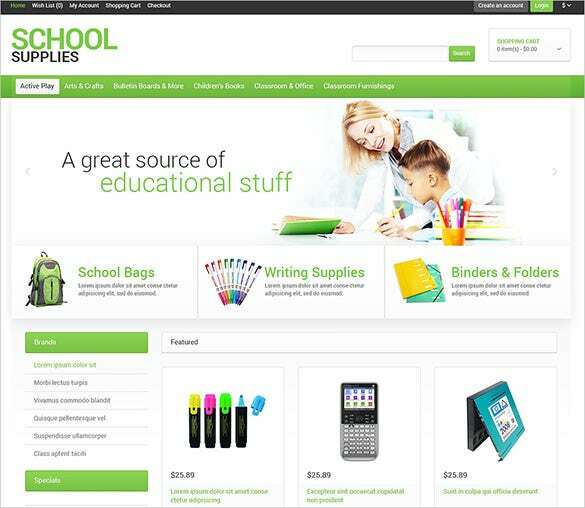 Online Stationary OpenCart Template, with its true Responsive nature offers a niche settings to any website designed to sell stationary products. It comes with features like Commenting System, Favicon, and Social Options. These magnetic templates with such premium features are easy to download. They assure 100% customer satisfaction, and can be completely customised. So download these and ensure smooth flow of business.